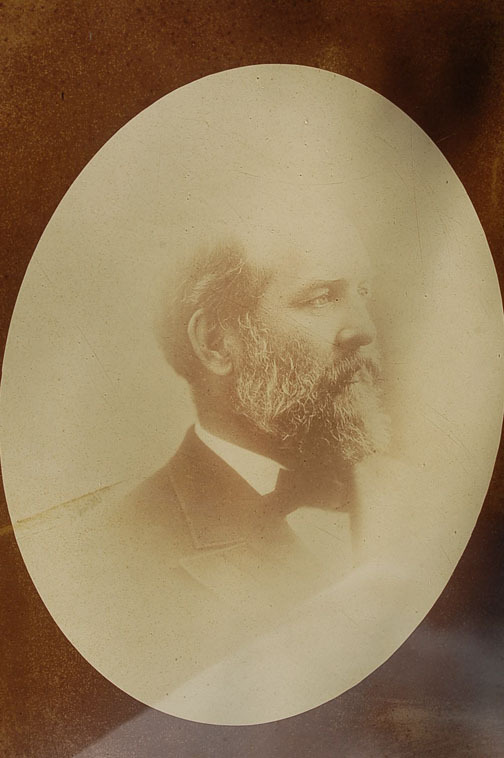 Huge 1870's Bradley & Rulofson Photo - Do you recognize this person? I have a large Victorian photo (from a glass plate) that has BRADLEY & RULOFSON SAN FRANCISCO at the base of it. It measures 15" x 19" frame dimensions are 27" x 33". Portions of the frame are made of redwood and it came from a Berkeley estate along with a number of early nautical items. 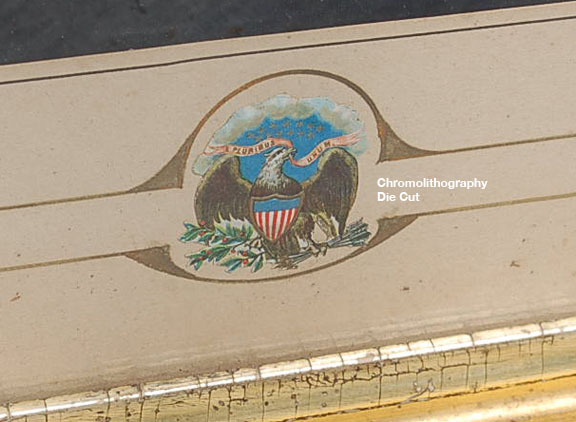 There is a color die cut emblem within the decoration on the mat that says E Pluribus Unum. 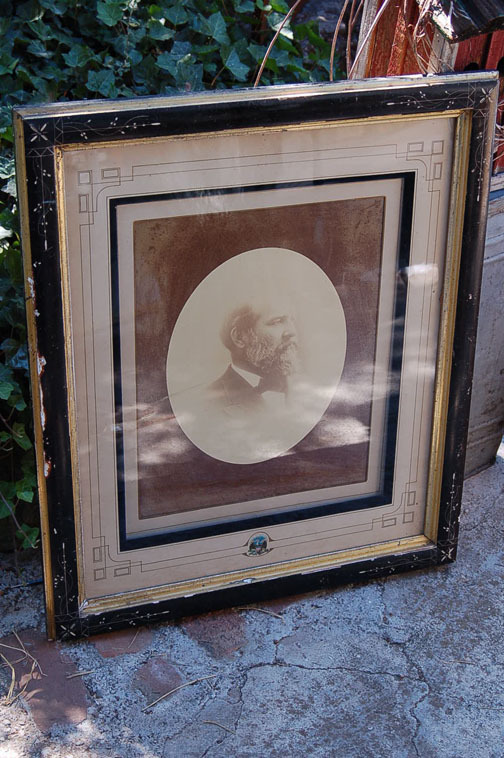 I think it might be a CA senator or person of importance due to the size (expensive at the time) but can't find any name on it other than Bradley & Rulofson. Do you recognize the sitter or could you suggest another museum to contact?